Before you buy a case for your new Nexus 6P, better check out a problem that has some case manufacturers kicking themselves in the back. Some of the third-party cases listed on Amazon's site will block the laser auto focus used with the rear camera. The sensor for the laser auto focus is located on the black bar, just to the right of the flash. If you look at the official Nexus 6P product video and pause it at the 18 second mark, the laser auto focus is clearly seen next to the flash. When looking at the very first render that showed the black bar on the Huawei 6P on August 24th, the laser auto focus was impossible to discern. 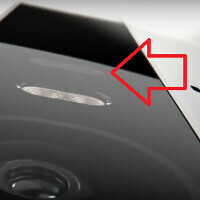 Assuming that case manufacturers were looking at the same leaks, it is easy to see how the sensor was overlooked. Whatever you do, don't take this warning lightly. Blocking the laser auto focus could actually damage the entire focusing mechanism on your phone. And that will make the camera on your Nexus 6P completely useless! We should point out that not all of the cases available for the phone are blocking the laser auto focus. But you should look very closely before spending your hard earned money to make sure that the one you do buy, doesn't end up damaging your handset permanently. Building smartphone cases on speculation is a tough job. One mistake like this could cost a company plenty of money and could even mean the end of a small case manufacturer. Which means that if you see a case for the Nexus 6P priced very cheaply, make sure that it has the cut out for the laser auto focus. The accessory producers that guessed wrong, will at first try to get some money back by offering their useless cases at rock bottom prices. Agreed! Thanks PA. However, I purchased the $89 protection plan so I can just go caseless. since we are at it news as of last night on fox local in dc apple iphone has a feature for aiding in the signal and its called wifi assist turn it off if you do not have unlimited data plan, or it will eat your data in a matter of days. Really great heads up article for those of us who are grabbing the 6P. I would have never checked for that. Thanks PA! Yup I think this is going to save a lot of people's money and devices. This is a really good article on PA.
That's PA for ya. I don't even believe that it can damage the focusing engine without some proof or explenation. Try reading other articles before you make blanket claims. The top 3 cases are the ones that DO NOT block the laser. PA made a careless mistake for such an important article....lazy. Permanent damage? Sounds like BS to me? How can you permanently damage a focusing motor by blocking the laser? Yeah I don't know really. Maybe it just continually hunts for focus and therefore burns out that mechanism? I wouldn't imagine permanent damage otherwise. because the laser could be blocked enough to damage the laser in and of itself perhaps? Making the motors and focusing useless if it cant get the data from the laser. Your telling me the official nexus case blocks the laser AF!?!? Pa Clearly Said 3rd Party Cause, Meaning None Official Cases. 50% of the PA community goes straight for the comments. #2 does not block the laser AF. Look at the picture there is a gap between the flash and case. Enough so it doesn't block the laser AF. Official nexus 6P cases blocks the laser AF ??? Can you please advise on which cases do not block the Laser AF ?? I ordered a phone, but how does the Google cases from the page not work ???? Crazyyyy do I cancel ?? Hahaha bro, 3rd party cases only. The top 3 bullets are labeled wrong. The official cases from google are not the problem. Look at the androidpolice article about the same subject which is FAR less confusing like PA made it! PROOF EDIT YOUR WORK PA! ***** Attention Please ****** - Can the article writer recommend a case that works without blocking the Lase AF ????? cases offered on google store do not block. first 4 photos the author posted are official cases. Back to the drawing board for these companies lol..